Therefore, my dear brothers and sisters, stand firm. Let nothing move you. Always give yourselves fully to the work of the Lord, because you know that your labor in the Lord is not in vain (1 Corinthians 15:58 NIV). 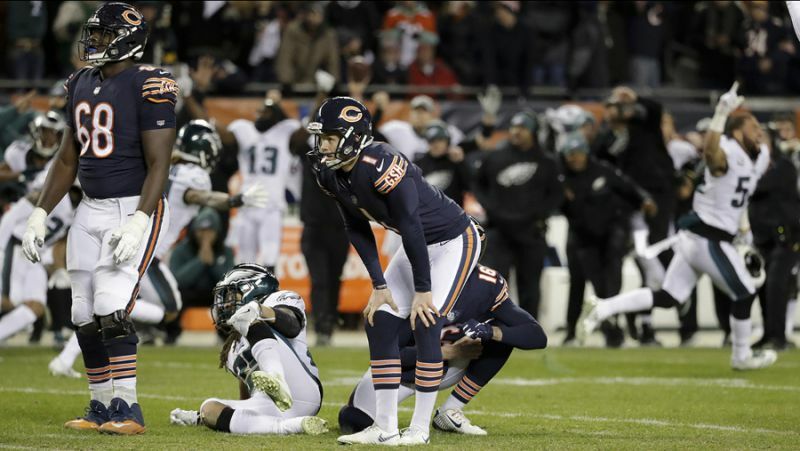 Cody Parkey made a 43-yard field goal with five seconds left in the Chicago Bears’ Wild Card playoff game against the Eagles on Sunday, January 6, 2019. 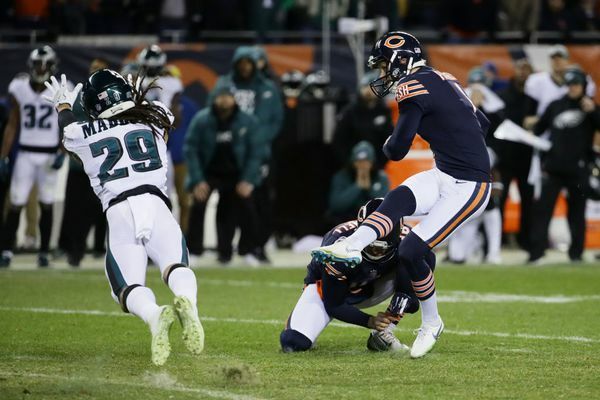 Parkey, who’s been under some fire this year, especially after hitting an upright four times in a game earlier in the year, trotted out onto the field and calmly nailed the field goal, giving the Bears a 17-16 lead and an almost guaranteed win. Right before the ball was snapped, Eagles coach Doug Pederson called time out. Because he cut it so close, the ball was snapped anyway, and Parkey went ahead and kicked. The ball sailed through the uprights, but it didn’t count. The strategy is referred to as “icing the kicker,” and most coaches do it as a matter of course before a game-changing field goal attempt. If they have a time out, they’ll call it to let the kicker think about the kick a little longer. They usually do it precisely the way Pederson did it, too; they let the kicking team get set up, let the kicker get ready, and then right before the snap, they call time. It’s a mind game, and kickers expect it. It’s not always in a win-or-go-home game, though, like it was for the Bears Sunday night. When the ball was kicked again, it bounced off the left upright, dropped down and hit the crossbar, and then fell to the ground on the wrong side of the goalposts. No good. Eagles win. Bears go home. Replays show the ball was tipped by an Eagles’ player near the line of scrimmage. That might have knocked it off course just enough. In fairness to Parkey, he made the kick. But not when it counted. 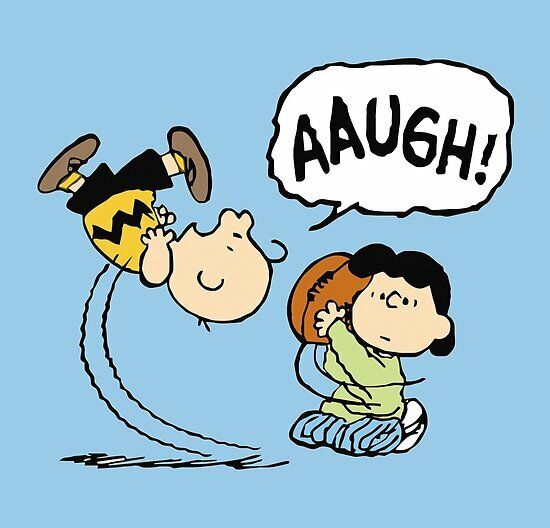 When it counted, he might as well have had the holder pull the ball away and fallen on his rear end like Charlie Brown. I think we can all probably relate to the way Cody Parkey must be feeling if we care to try. We’ve all had efforts that fell short. We’ve all had moments where we put it out there, but it doesn’t count. You didn’t get called back for that job interview. You tried to help a friend solve a problem, only to have your words fall on deaf ears and your actions go unacknowledged. You’ve done favors that weren’t noticed, spoken truth that wasn’t appreciated, given advice that wasn’t heeded. You gave your best effort to a project at work, only to have it shut down around you. You put your heart into a marriage, and it ended anyway. You’ve tried changing a habit or overcoming addiction, and it seems to always get the best of you. You’ve tried to pray more, love better, serve more willingly, give more generously, and find yourself falling back into the same old ruts. There’s a myth in our world: “Your best is good enough.” You’ve heard it said. Probably you’ve said it yourself. The point behind it is a good one: If you give your all to something, you’ve done all you can. But it’s simply not true that your best is always good enough; there are countless people every day who could witness to that. They did their best, and they failed. For every person whose Herculean effort is rewarded and noticed and praised — and who we look to for evidence that our best is good enough — there are how many whose best efforts end in failure and are forgotten? Or worse, remembered. Did they just not do their best? No, they did. It’s just that, by the standards of our world, their best efforts didn’t count. Only success matters in our world. Nothing else counts. That can be exhausting. Discouraging. I don’t mean to depress you, though. I want to give voice to this distressing thing that we all know to be true so I can remind you that God doesn’t see things that way. In the part of the Bible that we call First Corinthians, Paul spends a lot of time and ink writing about the hope of resurrection. He draws a line from Jesus’ resurrection to our own and emphasizes how important that belief is to our faith. In fact, he says that without Jesus’ resurrection, our faith is “futile.” It’s empty, vain. It doesn’t count. For if the dead are not raised, then Christ has not been raised either. And if Christ has not been raised, your faith is futile; you are still in your sins. Then those also who have fallen asleep in Christ are lost. If only for this life we have hope in Christ, we are of all people most to be pitied. (1 Corinthians 15:16-19). [T]he trumpet will sound, the dead will be raised imperishable, and we will be changed. For the perishable must clothe itself with the imperishable, and the mortal with immortality. When the perishable has been clothed with the imperishable, and the mortal with immortality, then the saying that is written will come true: "Death has been swallowed up in victory" (1 Corinthians 15:52-55). Anyone standing at Jesus’ cross might have been forgiven for thinking that the whole enterprise was an abysmal failure. On Friday, not one of his followers felt that his teaching and healing counted. On Sunday, they were starting to believe again. And, you know, there will be times in your life — as there are in mine — when you wonder if anything you’ve done matters. You’ll wonder if you’ve accomplished anything. Guilt and shame over your failures will weigh on you. You’ll question if anything you’ve given your life to counts for anything. When you feel that way, please remember that “your labor in the Lord is not in vain” (1 Corinthians 15:58). When you make the Lord’s work the primary focus of your life, then what you do matters. It counts. You won’t always be able to see how. It isn’t dependent upon your proficiency. It counts because God takes obedient lives and does unimaginable things with them. It matters because it gives him joy when his children give themselves to him, and he will not let us give ourselves in vain. He gives meaning and purpose to our work for him. If necessary, by raising the dead. I hope that gives you a sense of vocation: that whatever you get paid to do, or whatever your current calling is, that your real work is the Lord’s and that whatever else you do is done with that in view. Your other work is made significant ultimately by doing it for him. Whatever else you may accomplish, what counts is that you let God tell you what his purposes for you are, and learn to give yourself fully to that work. I’m pretty sure you’ll get a kick out of it. "Making It Count!" by Patrick D. Odum is licensed under a Creative Commons License. Heartlight encourages you to share this material with others in church bulletins, personal emails, and other non-commercial uses. Please see our Usage Guidelines for more information. When is a cup of coffee a whole lot more?